WordPress Theme Framework is a set of innovative tools to develop high performance WordPress themes and websites from scratch. Build pages with Hybrid Composer, the fast back-end page builder that's focused on productivity, simplicity, and customization. Create any post type you can imagine in minutes, it is all automated and flexible allowing you to display your items instantly. Harness the power of the theme options panel, which includes all the common theme settings and allows you to add new settings. 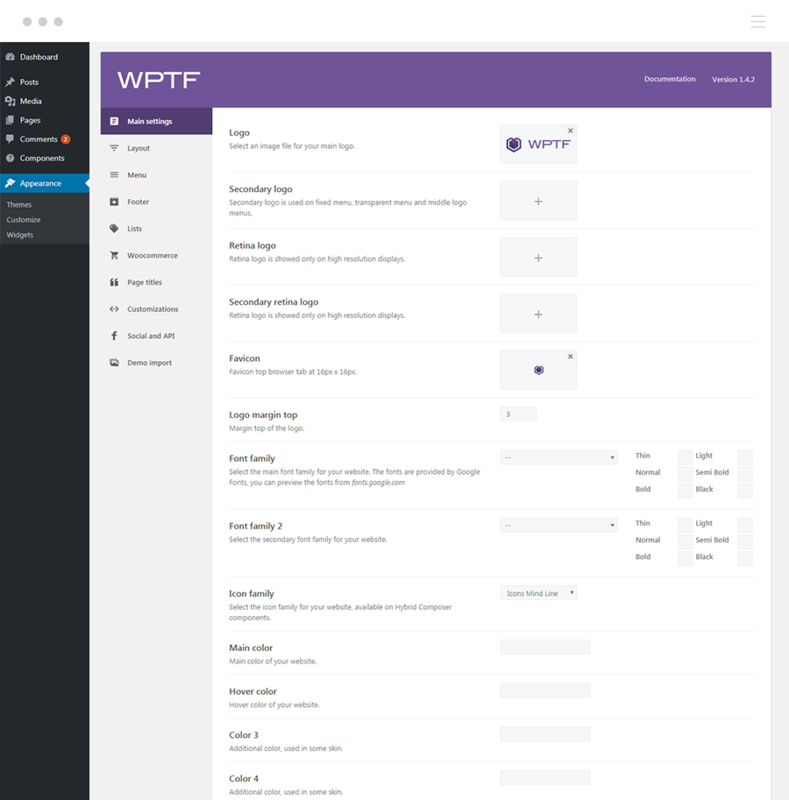 Design your custom theme without any reference to WPTF in just minutes. Is all ready, letting you focus on design and content. Through its focus on extreme productivity and extreme power, Hybrid Composer has improved every feature available in other builders and created new features, making it the only solution of its caliber on the market. The first post type engine for creating and displaying every post type you want in minutes. You will be able to show your items created with Hybrid Composer immediately including components like masonry layouts and sliders. 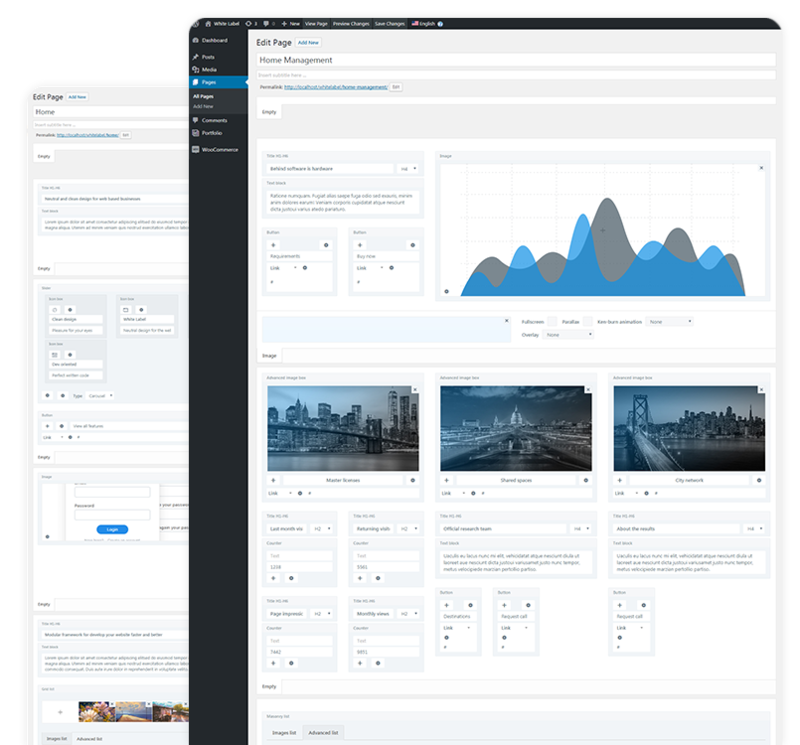 For just $99 you'll be able to create both the HTML and WordPress versions of your theme and have them selling Themeforest, or other marketplaces, in just days. The powerful theme options panel offers greater control over pages/posts, menu, footer, styles and much more. You can customize the panel with new settings in seconds. 8+ headers, with mega menu, and 3+ footer types. All the settings are stored into a single array. WordPress Theme Framework is fully compatible with Woocommerce, the most famous e-commerce plugin for WordPress, and dedicated features are available. The integrated Ajax menu can be activated with one click. Main archive, category, and tag archives are available; also with shortcodes. Two dedicated sidebars for single item and shop page; right, left, or both. All products are automatically searchable by the search system. Set global design and texts for the titles of the products. Fully translatable and integrated with WPML and language menu. Our incredible community constantly develops awesome new themes. 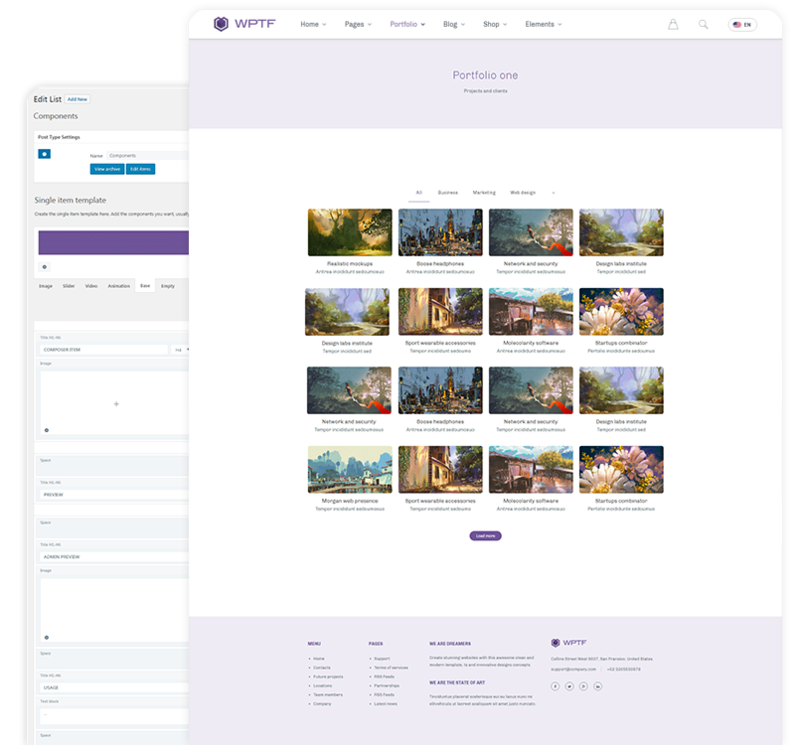 You can browse the latest themes available for purchase, keeping in mind that WPTF is included in every theme. We're looking for a marketing expert to join our team! If you think you can help us spread the word about this cutting-edge framework please contact us.